Reserved for Francoise. 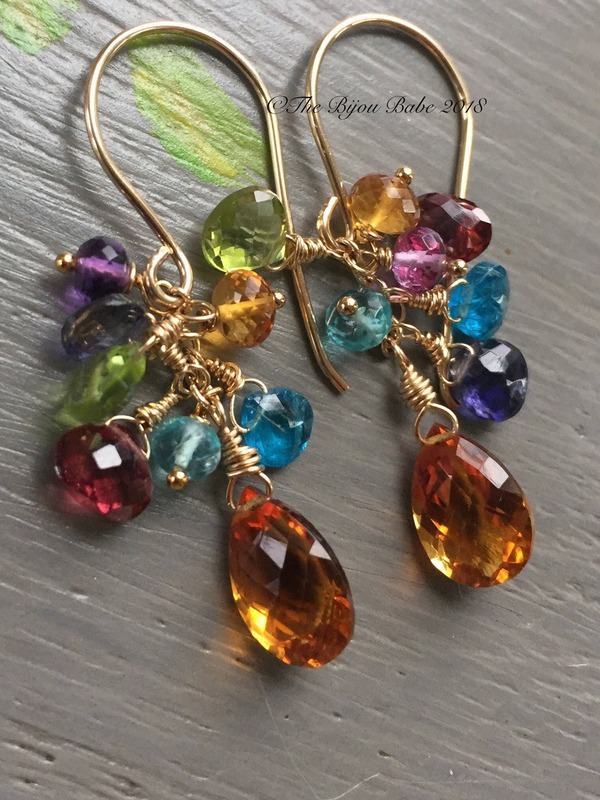 Gorgeous, AAA gemstone briolettes of Citrine, peridot, apatite, and rhodolite garnet combine with apatite, citrine, and amethyst rondelles to create the 'Paradise' earrings. Exquisite gemstones in a small-scale earring to wear for all occasions! All metal used is 14kt gold filled. Approximately 1 ½” in length. Your 'Paradise' earrings will ship USPS Priority Mail with tracking in the US, and will be packaged in a lovely gift box tied with ribbon.